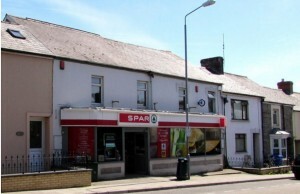 A SOUTHAMPTON man has been jailed for 32 months today for robbing a Spar store in Cardigan. James Cannon, aged 29, had previously denied charges of robbery and dangerous driving following his arrest after the raid on January 27. But today Cannon, from Hedge End, changed his pleas to guilty during a plea and trial preparation hearing at Swansea Crown Court. An unknown amount of cash was stolen from the store in North Road but no-one was hurt..
James Cannon, 29, pleaded not guilty to charges of robbery and dangerous driving. Judge Keith Thomas told Cannon the appropriate sentence was one of four years but he was entitled to a one third discount for entering pleas of guilty.